© Copyright 2014 Powered by Pictografico. All Rights Reserved. Silvia Cecchetti cooperates with Human-Voice, an Italian non-profit Organisation that combines the results of studies by various specialists. For several years, it has been combining and expanding upon the conclusions of doctors, acupuncturists, psychologists, orthophonists, etc., concerning the voice. Sociologist Edgar Morin is the honorary president of the Organisation. A voice expresses much more than words. It also reveals the physical state of a body, the emotions of a person. Our voice is our name tag: its timbre, its capacity, its oral properties, and our personal way of modulating it, provide our voice with unique characteristics. Through it, one expresses oneself, one converses, one communicates with others. Spoken, it serves to tell, question, reassure, or share a message. Sung, it carries emotions as well as an impression of beauty and power. Therefore, in addition to improving our vocal image, special attention must be paid to body language so that vocal emission is in tune with our motions. In this way, it can become as focused as a laser beam, reaching the listener’s ear in the most relevant way possible. Balanced voice sonority can be tuned to stimulate attention, enhance concentration and increase cerebral activity. 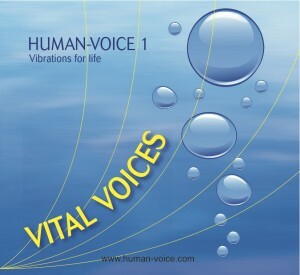 Human-voice’s research has shown the vast potential of the human-voice and its impact on people’s global vitality improving attention with the outcome of a great and deeper communication. The MRI (Magnetic Resonance Imagery) photos show the increased cerebral activity of a person listening to a “multidimentional” voice -voice tuned by Human-voice method- in comparison to “normal” voices – non tuned-. The impact of an ordinary voice on the listener’s cerebral areas. The impact of an multidimentional voice on the listener’s cerebral areas.